Cassini looks past the southern pole of Rhea to get a view of Dione on the far side of the rings in this image, captured on January 11, 2011. Rhea, Saturn’s second-largest moon, is approximately 950 miles in diameter and is literally covered in craters. 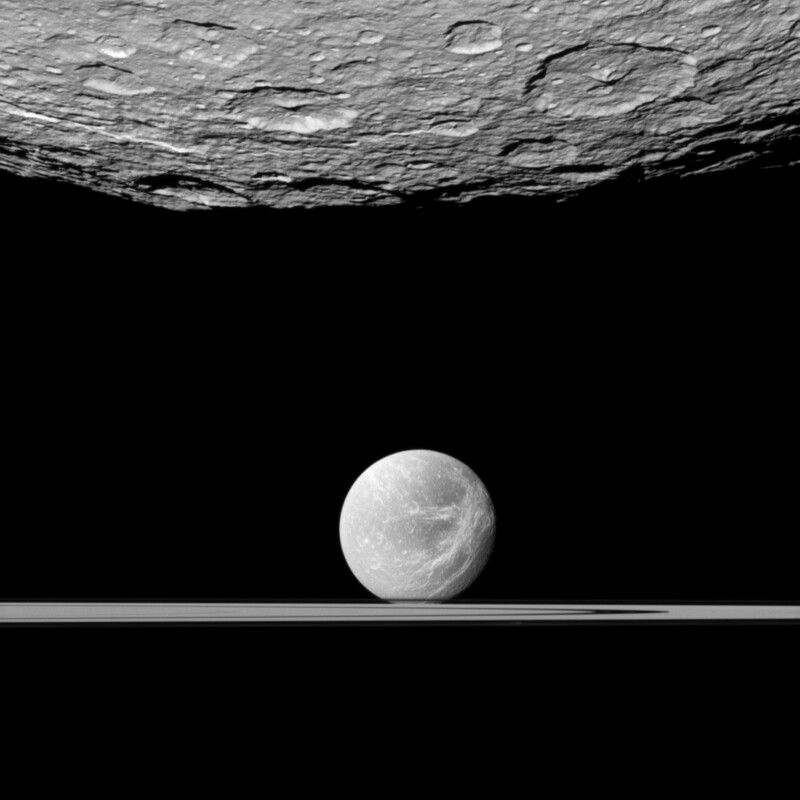 Dione, also heavily cratered, is nearly 700 miles wide. It’s displaying its signature “wispy lines” in the image above – bright streaks that lace across its surface, these are the bright reflective walls of icy cliff faces. Both moons are composed of water ice and rock and, other than in size, are very similar…true “sisters” in orbit around Saturn! Normally very bright in images, Saturn’s F ring appears as a dark band that cuts across Dione’s south pole. Previous Post Active region is active.